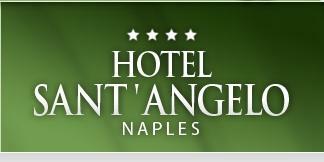 The Hotel Sant'Angelo enjoys a strategic situation. It is located in the central Piazza Garibaldi at 50 meters from the railway station, underground and circumvesuviana, as well as stops of both urban and extra urban busses. The Directional Centre lies close to the hotel. The historic city centre is at a few steps from the structure, while the Airport Capodichino is far just 3 km from the hotel and the exits of the motorways are located at 500 meters.